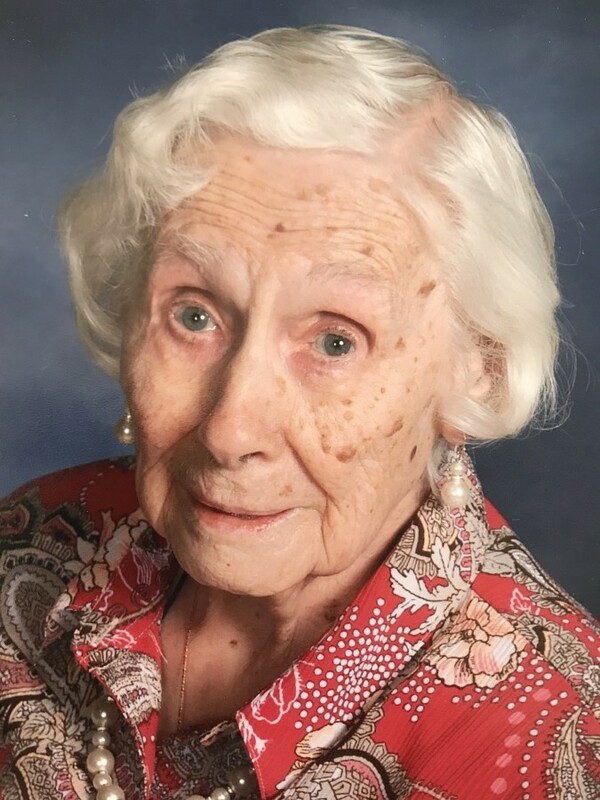 Mary L. Peterson, 98, of Colona, Illinois died Thursday, February 7, 2019 at home. Visitation will be Thursday, Feb. 14th from 3:30 p.m. – 6:00 p.m. at Schroder Mortuary, Colona, rosary will be recited prior to visitation at 3:00 p.m. Funeral Mass will be Friday, February 15th at 10:00 a.m. at St. Patrick’s Catholic Church, Colona. Burial will be in St. Mary’s Catholic Cemetery, East Moline. Memorials may be left for the family. Mary Louise was born September 28, 1920 in Moline, Illinois the daughter of Earl John and Clara DeBarr Gordon. On April 15, 1939 she married Richard O. “Pete” Peterson in Moline. They were married until his death on June 8, 1986. Mary enjoyed gardening, flowers, quilting, sewing, camping, square dancing, crocheting and knitting. Her greatest joys were being a homemaker and time spent with family. She was a member of St. Patrick’s Catholic Church and St. Ann Altar and Rosary Society. Survivors include her daughters: Nancy Papish of Colona, Illinois, Shirley Elfstrom of San Antonio, Texas, Betty (Arnie) Keslar of Cheyenne, Wyoming, Jane (Steve) Smith of Colona, Illinois and Sister Mary Joseph Peterson of Daughters of St. Paul in Boston, Mass; 16 grandchildren; 51 great grandchildren and 7 great great grandchildren. She was preceded in death by her parents, husband, and siblings: Judy Gordon, Willis “Bill” Gordon and Pearl Dillon.